1. 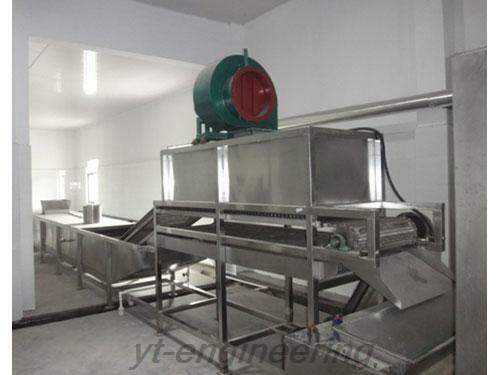 Pretreatment process of vegetable and fruit belt dryer includes material choosing, removing impurities, peeling, cleaning and segmentation. 2. In color-protecting process, some need blanching color protection such as carrots, celery, parsley and string beans, some need chemical color protecting such as garlic, carrots and onion. The temperature and time are the key points of blanching. They should be adjusted according to the raw material varieties and size. 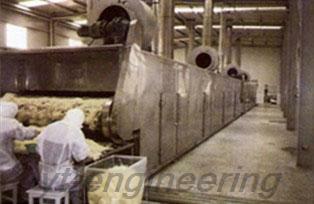 The appropriate temperature is 80 to 900℃ and the advisable time is until the materials are completed burned. After blanching, the materials should be immediately dried through the cold water or cold air. 3. 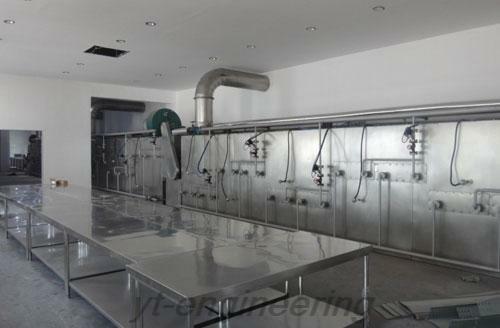 Drying is the key point in vegetable and fruit belt dryer production. 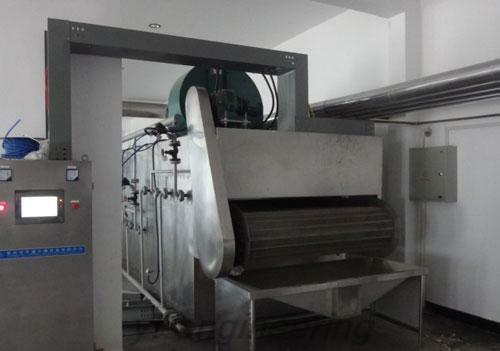 Belt dryer adopts three drying formula. In the first drying level, the moisture content of raw materials is high, thus the temperature can be relatively higher, generally more than 900℃; air exhausting should be strong to accelerate the dehydration speed as soon as possible. In the second drying level, the temperature is 75 to 850℃ and the conveying speed can be a little bit slower. The temperature in the third drying level should be controlled under 750℃ in case it causes discoloration, coking and deformation. 4. After-treatment includes moisture balancing, sifting and sorting. 5. Packages can be customized. 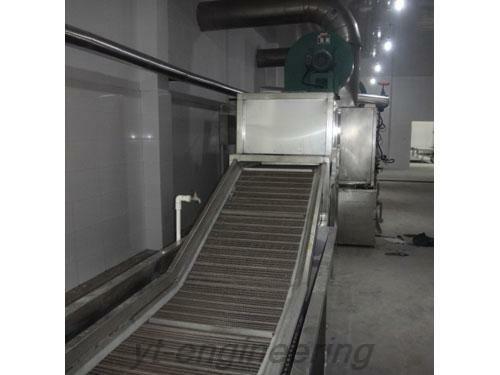 As a professional belt drying machine manufacturer and supplier, Yutong offers DWT conveyor belt dryer, DWVF vegetable and fruit belt dryer and DWC multilayer conveyor dryer machine for your selection. Till now, Yutong possesses 10 professional engineering and technical personnel and over 100 sets of processing equipment. Over the years, we make our effort to the development and production of drying machine, granulating machine, grinding machine and blending machine. Whenever you need our products, please feel free to contact us.